Very sad to be saying goodbye to Emily and EAD Designs. I have thoroughly enjoyed crafting with vinyl and cool stickers! I layered clear Stickerz with punched shapes and patterned papers by Authentique. We will be having a "good-bye" hop on Wednesday, so we'll see you then! what a pretty card!!!! just love this!!! Oh this is so so sweet! 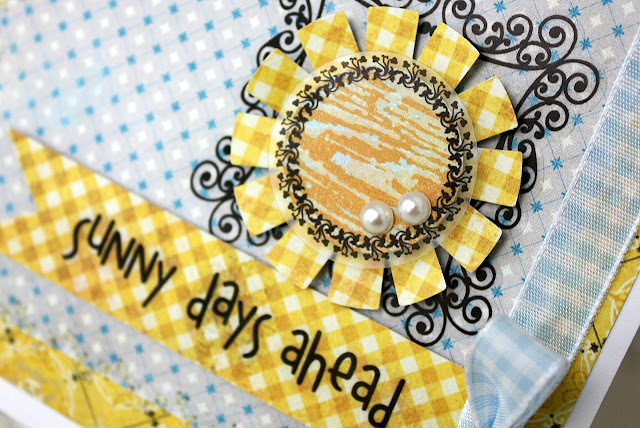 Love your color combi and the flower, the bow and the sentiment ! Love your great card. TFS. 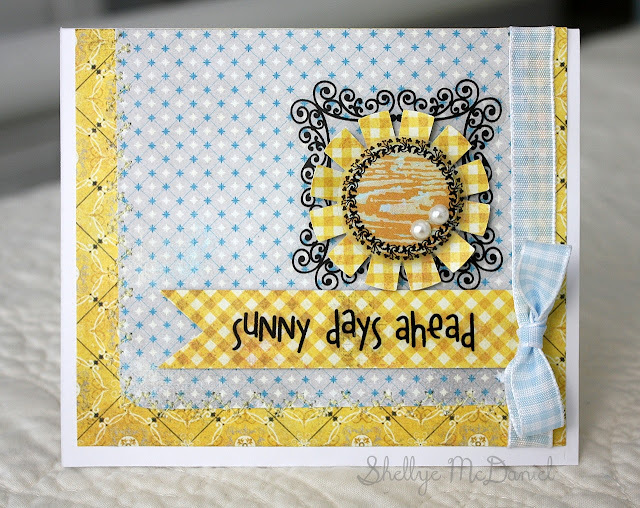 This is such a cheery pretty card! Love the sun! what a beautiful card Shellye! This is absolutely gorgeous...my EAD FAV of yours! What a "sunny" card. I love the color combo of the blue and yellow.